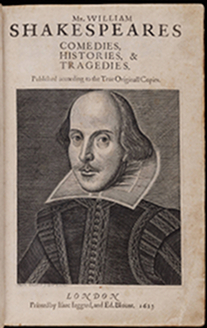 Note: If you want a simple html version of Shakespeare's collected works, don't miss MIT's invaluable web site. FYI. You can find more free eBooks in our ever-growing collection, 600 Free eBooks for iPad, Kindle & Other Devices. Published first in 1921, then again in 1944, Virginia Woolf's short story, "A Haunted House," runs a mere 692 words – which makes it a Halloween treat that is short and sweet. We give you an appropriately somber reading of Woolf's story above, with the accompanying text here. Or you can find an mp3 version in our collection of Free Audio Books. H/T to Mike, and enjoy the day. This 45 second timelapse video of the "Galactic Center of the Milky Way" rising over Texas Star Party (2009) just gets more spectacular as it rolls along. William Castleman created this sequence using a Canon EOS-5D, with exposures at 20 and 40 second intervals. This complements nicely Stéphane Guisard's panoramic view of the Milky Way taken from the Atacama desert in Chile. See the The Milky Way in 360 Degrees here. So if you want the full case against getting a PhD in the humanities, here you go. Every argument the disillusioned academic can possibly make now packed into one semi-comic video. If you're in the humanities, the litany of complaints, whether fair or not, will hardly be unfamiliar to you. A quick note for our readers: This week, we soft launched a new mobile web site for Open Culture – one designed to give our readers the ability to access Open Culture content with far greater ease on their smartphones. If you have an iPhone, iPod Touch, Android phone (or any phone with an advanced web browser), you should be able to read our posts, watch videos, and listen to audio much more cleanly, no matter where you are. Simply pick up your phone, visit any page on openculture.com, and you will see what I mean. This mobile site is still in "beta." So if you experience any problems, or have any feedback, please send it our way. We want your input. And, if you don't prefer the mobile site, you can always turn it off. Just scroll to the bottom of the mobile page and click "Switch to Standard View." Finally, as you can imagine, this project required some time and expense. If you can comfortably afford it, please consider making a donation via PayPal to support this initiative and others like it. And if you can't swing it, that's a-okay. Maybe just tell a friend about the site (or about our Free iPhone app) and otherwise enjoy the ride. Thanks for any feedback you might have, and hope you enjoy the mobile version of Open Culture. For a brief time in 2008, Stephen Fry, the popular British author, writer and comedian, produced a series of podcasts – called "Podgrams" – that drew on his writings, speeches and collective thoughts. (Find them on RSS and iTunes here). During one particular episode, Fry meditated on language (the English language & his own language) and a little on Barthes, Chomsky, Pinker and even Eddie Izzard. Then Matthew Rogers took that meditation and ran with it, producing a "kinetic typography animation" that artfully illustrates a six minute segment of the longer talk. Watch it above, and if you're captivated by what Fry has to say, don't miss his popular video, What I Wish I Had Known When I Was 18.